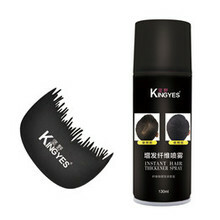 http://www.mefapo-beauty.com/ Our Factory can make any type aerosol products. 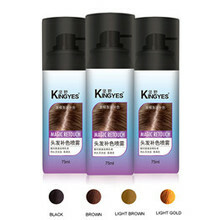 For hair care product,we have hair styling spray,hair oil,hair finishing spray,hair color spray etc. For skin care product,we have sunscreen spray,moisturizing spray,foundation spray etc. A Foundation spray which have sun protection function.It not only a foundation spray,also a sunscreen spray.A necessary for dating,party,shipping etc any outside place.This is an indispensable spray for dating,party,shopping etc any outside place.Easy to use. This is a new aerosol product in China,it can spray snow shape and have moisturizing and whitening function. Can use for whole body. Hair thickener spray , instant hair thickening spray.It is a low cost and fastest way to increase your hair. AirStocking Premier Silk is a popular spray foundation for legs, which has been sold more than 3 million pieces all over the world. AirStocking® by C.C.Medico has 5 color variations; [PS01] light natural, Natural, Terra-cotta, [PS04] Coco, [PS05] Bronze, therefore our product will match various skin colors! You just have to spray it directly on your legs, and it will cover the majority of the marks, the bruises and spider veins. Your leg skin will become surprisingly attractive! Mefapo aerosol spray manufacturer,OEM /ODM,hair spray,hair oil sheen hair spray,temporory hair color spray,facial cleanser,sunscreen spray. Deep cleaning whitening moisturizer,keep your skin fresh. When you don't wash your hair for a few days, and suddenly your friends are coming to visit you, using MEFAPO Hair Spray is your best choice. Mefapo staff hope all the student have top score for College entrance examination , fighting!!! Instantly replenish lost moisture,moisturizing, not greasy.